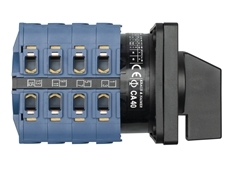 Kraus & Naimer presents a modular range of main switches and switch disconnectors designed for simplicity, safety and flexibility. 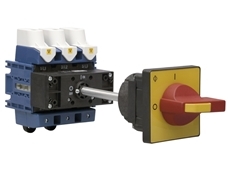 KF type up to 63 A main switches and switch disconnectors have at their core, the rotary contact system incorporated in a new type of modular contact block, allowing high mechanical life expectancy and precise and reliable contact making. 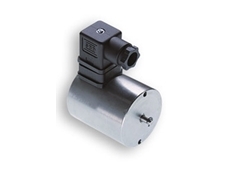 The position of the latching mechanism is more or less unlimited with the modular design allowing for future expansion of the line with different terminal or contact technology such as cage clamps, or knife contacts for DC applications. 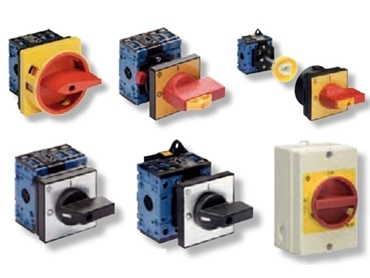 The same modules can be used for panel mounting, lateral drive and base mounting, minimising the need for high inventory levels and increasing cost savings.